In English, contractions are very common in informal language. This is the union of two words, usually a noun or a pronoun with a verb, where the disappearance of one or more letters is indicated by the use of the apostrophe. 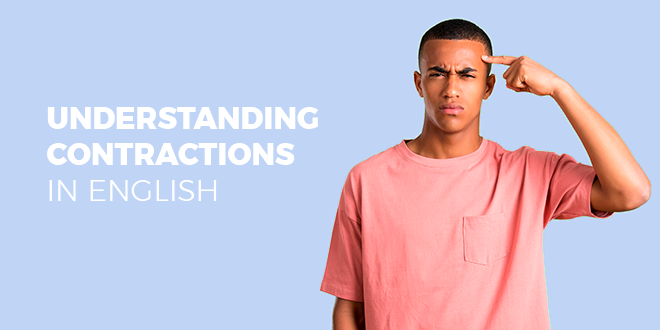 Use English contractions correctly with @abaenglish. Contractions are used with auxiliary verbs and with to be and to have even when they are not being used as auxiliary verbs. Let’s take a look at all the examples of contractions in order. The verb to have can be contracted both when acting as an auxiliary and when it is simply performing the function of a verb. Some forms of contractions can be confused with homophones (which have the same sound). Below, we will give you some examples to help you avoid mistakes. If you have doubts about which form to use, try replacing the word with it is or with it has. If the sentence makes sense, then the correct form is it’s. Do the same with the words you will find below, making sure you always replace one word with another of the same grammatical category, for example, verb with verb, adverb with adverb, pronoun with pronoun. Now that you know the contractions in English, you will no longer have problems with the apostrophe and will know how to write informally. If there are other aspects of English grammar that you would like to know better or if you want to improve your conversation skills in English, why not try our online course? We offer 144 free video classes and the same number of short films to help you learn to speak English in a natural and grammatically correct way. Why not start right now?